A lovely reader pointed out to me the similarity of her jacket from a few years ago to the new Swell Jacket. Although not reversible the Elemental Jacket has the same ripstop combined with french terry feature. I’ve actually seen someone wearing this jacket before and thought it looked pretty cute and perfect for the predictably unpredictable weather here. I wasn’t able to find this jacket on the Lululemon website to check on the price for a comparison. 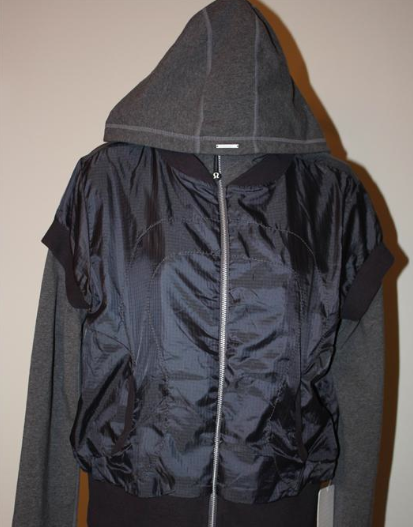 Do any of you remember this jacket from a few years back?